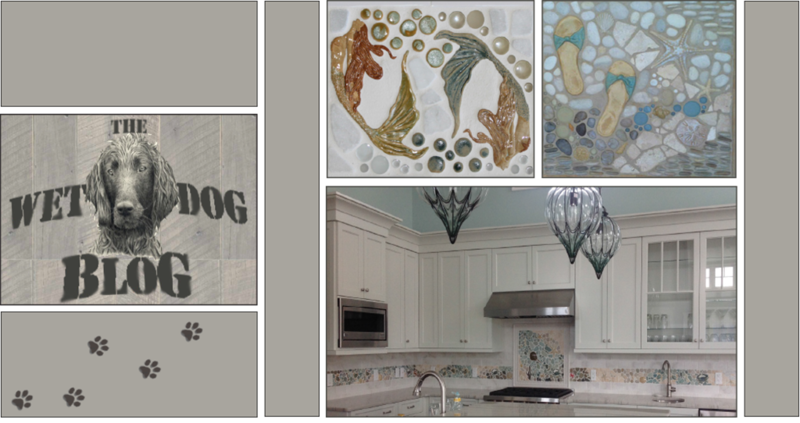 More of the Wet Dog Mosaics, this time with some added kelp! The red color you see towards the bottom is going to make a pretty wild transformation inside the kiln! This is our wall of glazes - we have a lot to choose from! Click 'here' for a list of our neutral glazes, or click 'here' for a list of our color glazes! Next week we'll post the 'after' photos so everyone can see exactly what we mean when we say 'wild transformation'!